Set on Christmas Eve in 1979 a young engaged couple named Beth and Cameron are traveling to Beth’s house for the holidays. The couple stop at a local motel after almost being run off of the road by a speeding truck, but that is the least of their worries. In a matter of a few hours Beth is going to find out some of the sordid details of her past….the hard way. 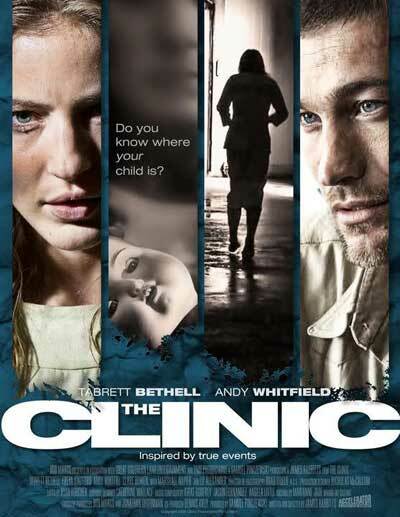 James Rabbiits’s film The Clinic defies any true aspect of the horror genre since it mixes so many of them together into a nice little c**ktail of an Australian import. 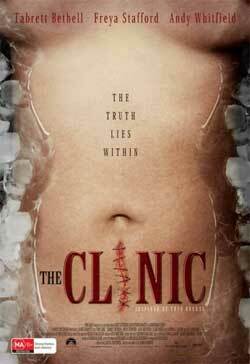 The story behind The Clinic takes aspects from a lot of the current trend of “survival splatter” horror films, yet it also throws in a large part of the “slasher” sub genre and even some emotional terror are all mixed together for a film that belongs on any fan of modern horrors shelf. The Clinic starts by introducing its viewer to the two main characters Beth and Cameron. The young couple are engaged and traveling across country to Beth’s mothers house for the Christmas holiday. The couple are obviously in love, and Beth is obviously very pregnant. While the couple are driving a large truck suddenly comes into view. It doesn’t take very long before the truck is right behind the young couples car and they are soon ran off of the road. The couple calm their nerves and decide that they should probably stop for the night and get some rest before they head further into their trip. Beth and Cameron soon stop at a local motel and get a room. The clerk of the motel is the stuff that horror films are made of. He makes snide comments and undresses Beth with his eyes in front of an enraged Cameron, but soon the couple are given the room and finally get a moment to truly relax. 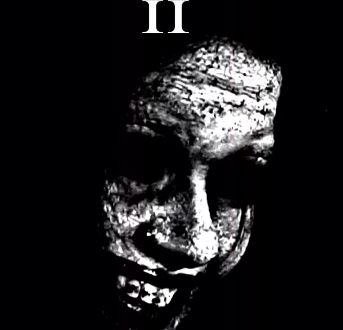 Beth however finds it hard to relax when they are in the motel, mainly due to a horrific reoccurring nightmare she keeps having that involves their unborn baby and large roman numerals which fill with blood as the baby screams. The nightmare sequences though ballsy do tend to look rather videogameish however due to the use of cgi blood, this is understandable however since the scene does involve an infant. Cameron also has a hard time sleeping after Beth wakes up and decides to go into the small town in an effort to find some food. While Cameron is in town he finds that everywhere is closed and that his search for food was in vain. When he decides to give up and head back to the motel room however he finds that their car will not start. Frustrated Cameron makes his way back to the motel on foot, when he finally makes it back to the room he finds that Beth has vanished. Beth’s situation isn’t any better however when she suddenly wakes up in a bathtub full of ice and the wound from a back alley c-section on her stomach in what could be one of the truly most horrific scenes I have seen in quite some time. 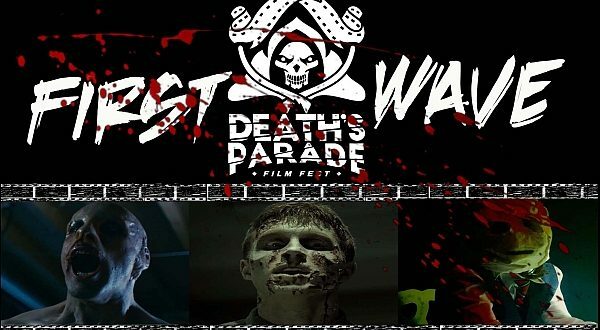 Like I said earlier in this review James Rabbiits film takes a lot of aspects from the genre and mixes them all together into a smart little package. Beth finds herself in “The Clinic” and finds that she is not alone, there are other women trapped inside of the same compound and just like Beth all of them were pregnant when they first were incarcerated. The scenes involving these women can be tough for some to watch as the women do eventually find their infants but realize in horror that none of them even know which baby is really theirs. This leads up to another aspect of the genre when a new woman is introduced at the compound, a woman who brutally kills anyone who gets in her way in her attempt to learn which infant is in fact hers. 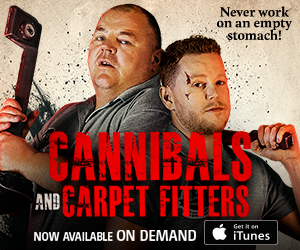 Mr. Rabbiits doesn’t spend all of his time on Beth however, Cameron suffers with problems of his own and fans of the genre will love every minute of it. The creepy motel clerk was just the tip of the iceberg the viewer is even introduced to the crooked local sheriff who obviously has no idea what police brutality is. Andy Whitfield shines in these scenes and becomes a hero that a viewer actually wants to see rescue his girl. 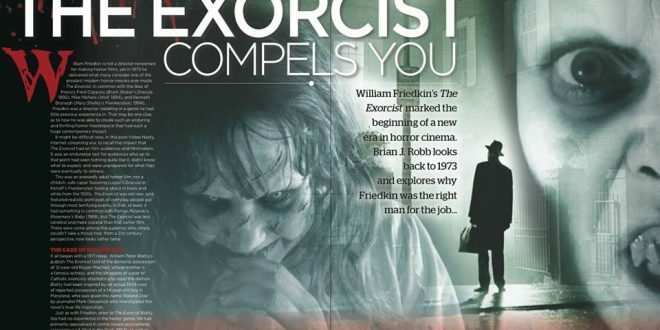 It isn’t just characters that remind a viewer of such cult masterpieces such as The Texas Chainsaw Massacre. James Rabbiits has obviously seen a lot of genre films and puts references throughout including a great “escape from the room only to find that it is now daylight outside” moment. All in All James Rabbiits The Clinic is definitely worth checking out, its got touchy subject matter, a great cast, some great gore gags (including a very wince inducing surgery scene) and a finale that will cause your jaw to drop….give this little import a try, you wont be disappointed.